A Network Operations Center rests at the heart of every telecom network or major data center, a place to keep an eye on everything. Some of these NOCs are really “dressed to impress”, while others have taken a more mundane approach. So, for inspiration, here is a set of pictures of different NOCs from telecom companies and data centers (and one content delivery network) that we here at Pingdom have collected from around the internet. These NOCs are obviously designed to impress visitors on top of being useful. We don’t even dare to think what it cost to build some of these (especially the one from AT&T). While still impressive on a smaller scale, these NOCs have taken a slightly more conventional approach. We noticed a divide here. Data centers tend to have more scaled-back NOCs while telecom companies often fall in the “dressed to impress” category, perhaps partly due to having more infrastructure to monitor than the average data center (and shareholders). The people at Rackspace are apparently not big on the flashy stuff at all. 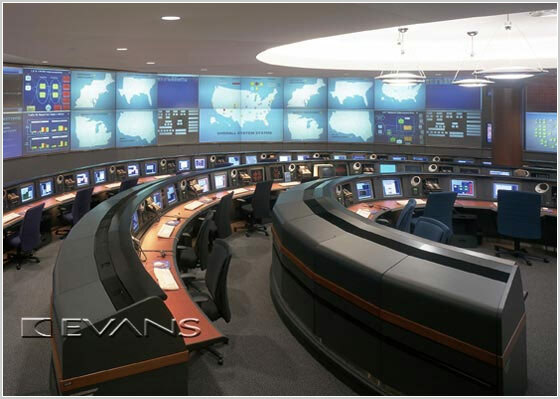 AT&T NOC from AT&T, Reliance NOC from Suraj, Lucent NOC from Evans Consoles, Conexim NOC from Conexim, Akamai NOC from Akamai via Bert Boerland’s blog, Easy CGI NOC from Easy CGI, Ensynch NOC from Ensynch, TWAREN NOC from TWAREN, The Planet NOC from The Planet’s blog, Rackspace NOC from Naveenium, KDL NOC from Kentucky Data Link. 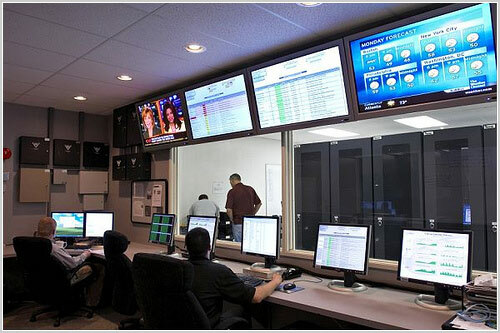 Rackspace doesn’t have a NOC as such, but it does have a team of monitoring techs who monitor all the server alerts. Also any of the engineers are able to work on any alerts, which are shown in a common console that anyone can access. Rackspace doesn’t have a NOC? Can I just say you are wrong and leave it at that? They do have a *real* NOC, trust me. 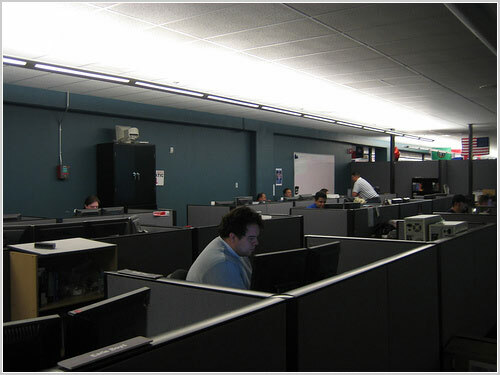 Regarding the Rackspace NOC, if anyone has any other pictures than the one we show here (which admittedly is from 2005 according to the photographer), please post a link here in the comments. I’d like to see more Rackspace pics also. 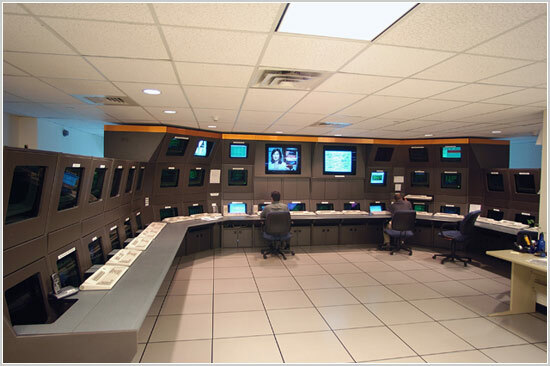 The picture labeled Conexim’s NOC in Australia. That is not correct. That is the Network Operations Center of UUNET/MCI WorldCOM which is now Verizon Business. I know cause I work there. We definitely didn’t know that. Do you have another source (preferably a link) which can confirm this? We found the picture on the Conexim website (the link is available at the bottom of the post). According to digi.no(a norwegian e-newspaper), the NOC has approx 100 seats, and a surface of 1250 square meters. 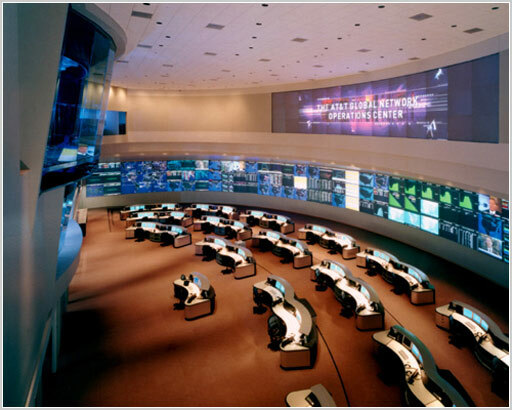 The NOC gets 5 million error messages every week, and uses IBM Micromuse to manage them. The three main screens are 10x6m large. 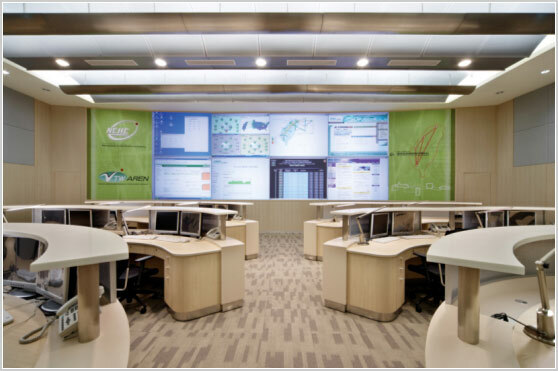 Here is Telstra (Australia) Global Operations Centre. It monitors Australia’s largest Telecommunications network. These photos are old, I don’t have dates, but they are probably from around 2002. All CRTs have now been replaced with LCDs and the Video Wall has been updated. 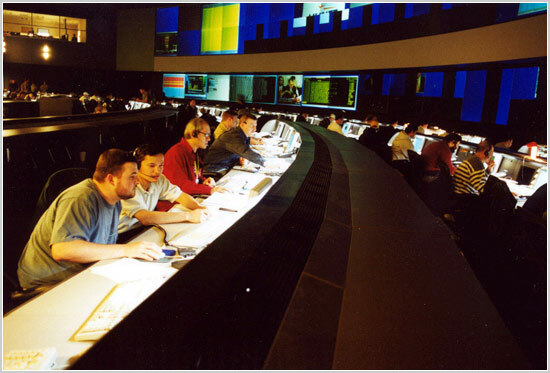 The Global Operations Centre officially opened in August 1999 and provides a centrepiece for showcasing Telstra’s technological leadership and capabilities in managing large scale networks. Copper, fibre-optic cable, radio and satellite technologies connect our customers to our local access switches. 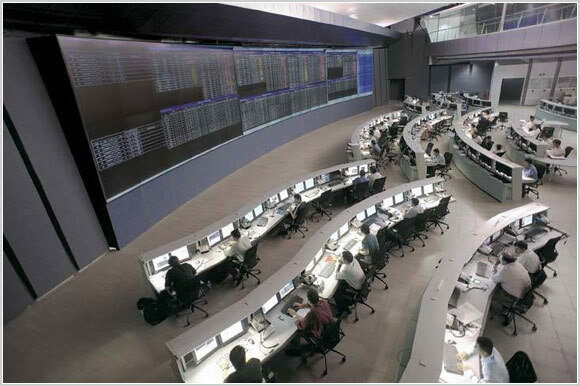 * The stunning centrepiece for the Global Operations Centre is the massive digital videowall – one of the world’s largest. The videowall measures 24 x 3 metres and comprises 96 video cubes. * There are approximately 400 staff who work in the large surveillance hall, who monitor and manage Telstra’s networks 24 hours a day, 7 days a week, 365 days a year. Feel free to add it to your collection. which is now Verizon Business. 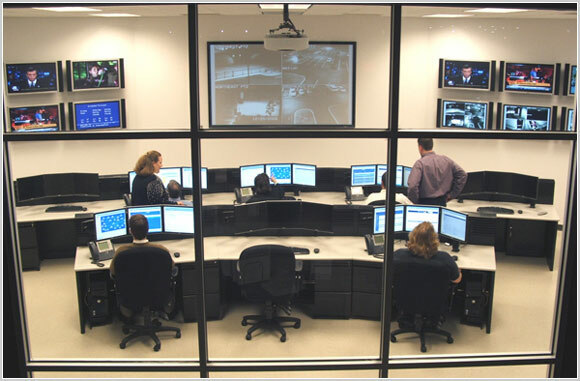 So far this is the only picture of the Verizon NOC I found out there. The picture is very small but you can see that its the same noc you have up on your site as Conexim. Those Consoles are so limiting. There is no way I could do my job with the few and little screens they have. We have about 50 of these stations. Not many frills, but we have the tools that make life a bit easier.